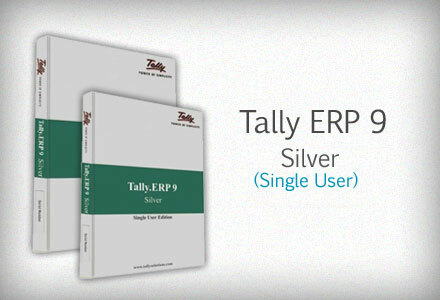 Tally.ERP 9 is your perfect business management solution. With an ideal combination of function, control and customisability built in, Tally.ERP 9 permits business owners and their associates to do more. Tally.ERP 9 is the world's fastest and most powerful concurrent Multi-lingual Business Accounting and Inventory Management software. Tally.ERP 9, designed exclusively to meet the needs of small and medium businesses, is a fully integrated, affordable and highly reliable software. Built on the proprietary technology of Tally Solutions C:MuLATE (Concurrent Multi-lingual Accelerated Technology Engine) - Tally.ERP 9 is a perfect fusion between the path-breaking Concurrent Multi-lingual Platform and an Object Oriented Database Engine. Technology on which someday all business accounting solutions will be built. 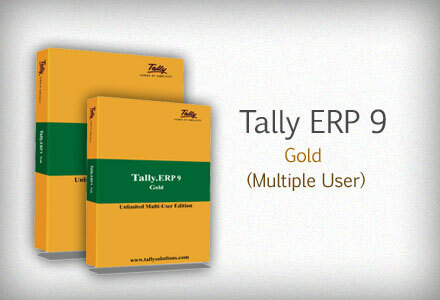 Tally.ERP 9 is easy to buy, quick to install, and easy to learn and use. Tally.ERP 9 is designed to automate and integrate all your business operations, such as sales, finance, purchasing, inventory, and manufacturing. With Tally.ERP 9, accurate, up-to-date business information is literally at your fingertips anywhere. The powerful new features and blazing speed and power of Tally.ERP 9 combine with enhanced MIS, Multi-lingual, Data Synchronization and Remote capabilities help you simplify all your business processes easily and cost-effectively. Simplicity : Tally.ERP 9 is simple, easy to setup and use. It also allows easy Keyboard operations. It requires basic knowledge of Accounts and English to use it. Speed : Tally.ERP 9 provides the capability to generate instant and accurate reports, which assists the management to take timely and correct decisions for the overall productivity and growth of the company. 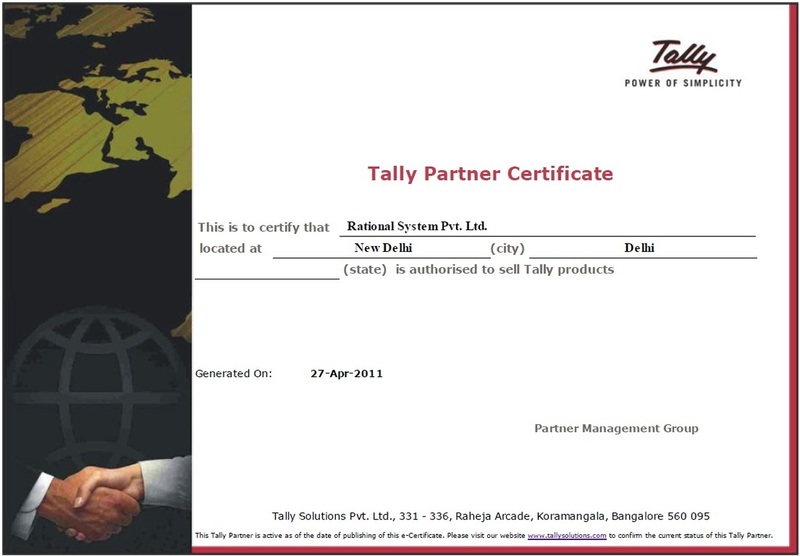 Power : Tally.ERP 9 allows the user to maintain multiple companies and with unlimited levels of classification & grouping capabilities. It also allows drill down facility from report level to transaction level. Flexibility : Tally.ERP 9 provides flexibility to generate instant reports for any given period (month/year) or at any point of time besides providing the facility to toggle between accounting & Inventory reports of the same company or between companies. Scalability : Tally.ERP 9 suits to any style of business needs and eliminates the necessity for a business to change its style of operation, in order to adapt to the application. Concurrent multi-lingual capability : Tally.ERP 9 offers you the exclusive capability of maintaining your accounts in any Indian language, viewing them in another language and printing them in yet another Indian language. Real time processing : Immediate posting & updation of books of accounts as soon as the transactions are entered, thereby facilitating instant statements & Reports. It also facilities real-time multi-user environment. Accounting without Codes : Tally.ERP 9 allows accounting with the regular names (the way you spell them or use in normal parlance) without any account codes. Online Help : The Tally.ERP 9 Online Help (Alt+H) provides instant assistance on basic and advanced features or any other relevant topics of Tally.ERP 9. Tally.NET : is an enabling framework which establishes a connection through which the remote user can access the Client's data without copying / transferring the data. Remote Access : Tally.ERP 9 provides remote capabilities to access the data from anywhere and anytime. Control Centre : works as an interface between the user and Tally.ERP 9 installed at different sites and enables the user to centrally configure and administer Site/User belonging to an account. Support Centre : allows a user can directly post his support queries on the functional and technical aspects of the Product.